Opel has already received some 7,000 orders for its award-winning Ampera electric vehicle. This latest figure even surpasses Opel’s most optimistic expectations for this point in time. Customer deliveries which began in February are going according to plan. Not only has the Ampera won a strong following among customers but it has also gained a lot of accolades and praise from industry experts, the media and even competitors. 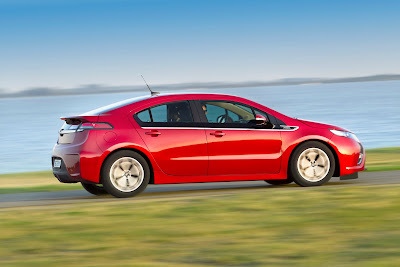 The Opel Ampera and the Chevrolet Volt electric cars won the European “Car of the Year 2012” award voted by a panel of 59 judges from 23 European nations. The Ampera/Volt 330 points against the Volkswagen Up with 281 and Ford Focus with 256.